"The Adventurer" is another one of Charlie Chaplin's short comedies, featuring Edna Purviance, a star of Silent Hall of Fame. The film is very entertaining with a lot of action. It is the best known of the 12 Mutual comedies and at the time made Charlie Chaplin the most popular screen personality. The film enjoys a strong rating in IMDB. Charlie Chaplin tries to escape in "The Adventurer" (1917). 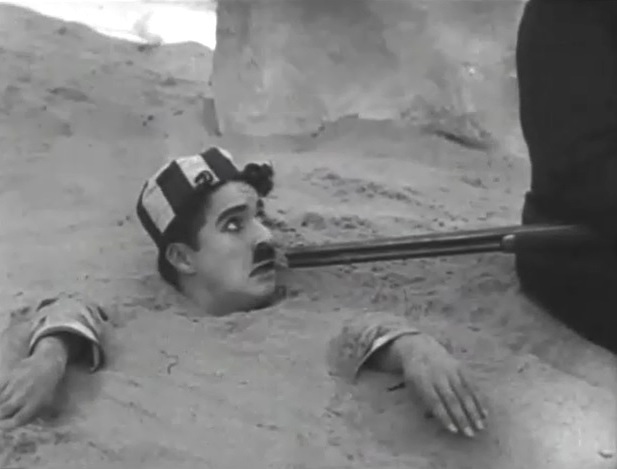 Charlie Chaplin is in big trouble in "The Adventurer" (1917). Eric Campbell makes Edna Purviance feel his biceps in "The Adventurer" (1917). 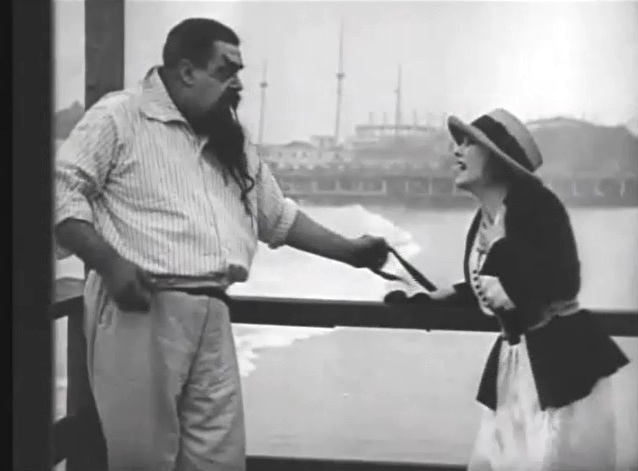 Eric Campbell won't jump to save Edna Purviance's drowning mother in "The Adventurer" (1917). Charlie Chaplin saves Edna Purviance in "The Adventurer" (1917). 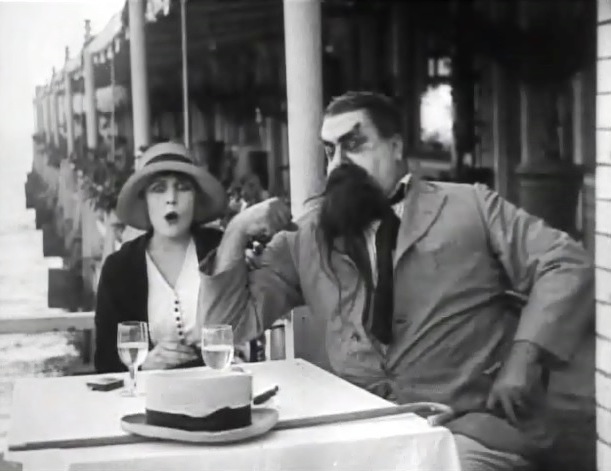 Eric Campbell courts Edna Purviance, but she is not impressed in "The Adventurer" (1917). 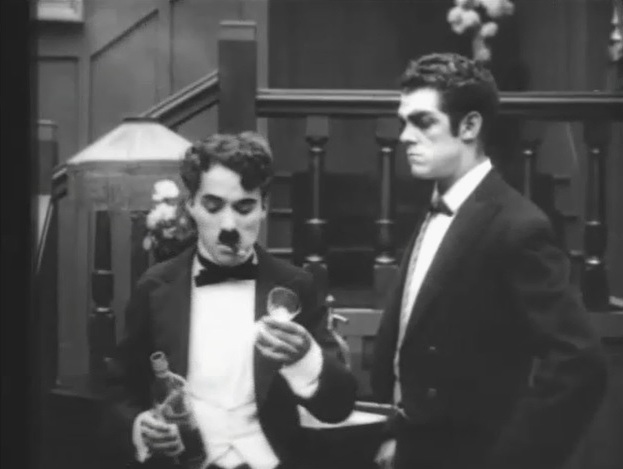 Charlie Chaplin serves himself a drink as Albert Austin looks on in "The Adventurer" (1917). Eric Campbell and Edna Purviance see Charlie Chaplin with opposite emotions in "The Adventurer" (1917). Edna Purviance is happy to chat with Charlie Chaplin in "The Adventurer" (1917). Edna Purviance plays the piano for Charlie Chaplin in "The Adventurer" (1917). Edna Purviance talks to Charlie Chaplin in "The Adventurer" (1917). Edna Purviance is friendly with Charlie Chaplin in "The Adventurer" (1917). Edna Purviance likes what Charlie Chaplin has to say in "The Adventurer" (1917). Edna Purviance is a model ice-cream eater in "The Adventurer" (1917). 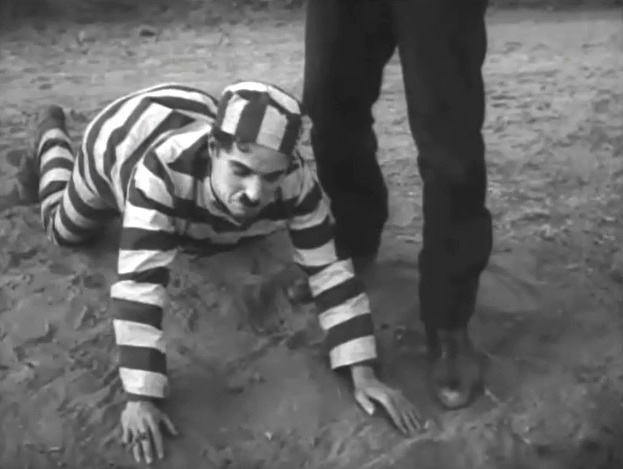 Charlie Chaplin tries hard to escape again in "The Adventurer" (1917). Edna Purviance rejects Charlie Chaplin in "The Adventurer" (1917).